Compressed cake shape, some parts of the surface has begun to turn red. Its initial bitter taste and sweet aftertaste align well with a famous Chinese old saying - When bitterness is finished, sweetness begins (苦尽甘来). 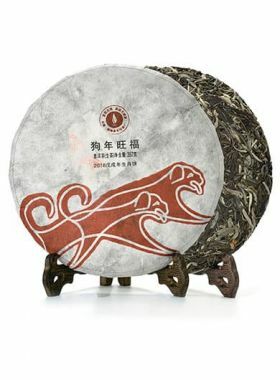 Although this raw pu-erh tea has been aged for more than ten years, it still retains the “ardent” flavor unique to its type. The way it is packed into a tightly-pressed caked greatly slows the normal aging processes; this is why after so many years only a small amount of red can be seen on the surface of the leaves. 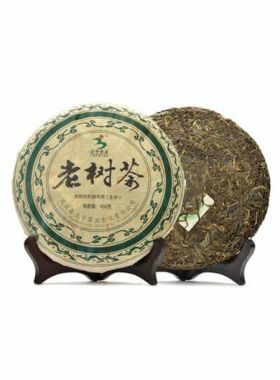 If you want to enjoy that original raw taste, this tea is good to drink right now; alternatively, it can be stored for two or more years for a more mature flavor. The Ximu tea garden is located in the southwestern part of Yunnan Province, at an elevation of around 1900 meters. 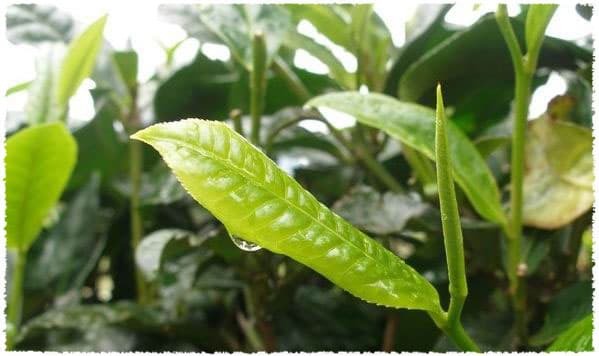 The annual average temperature here is about 14.5℃ with an average precipitation of about 1400mm per year, all factors that lead to a better environment for the growth of crops, especially tea and walnuts. 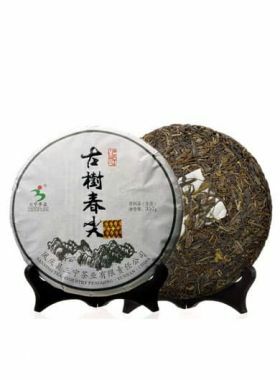 This raw pu-erh cake is from Fengqing, the representative pu-erh production area in the southern region of the Dianxi longitudinal valley. 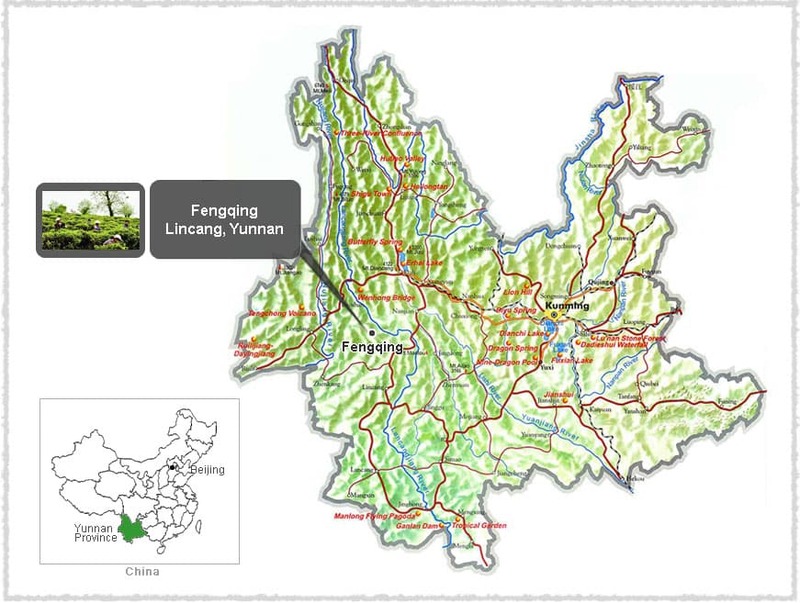 As a county, Fengqing is in the northwest of Lincang, one of the four famous pu-erh production areas alongside Xishuangbanna, Pu’er, and Baoshan, and is one of the first homelands of tea in the world. This place is also famous for being the hometown of Yunnan black tea in Lincang. Fengqing has a long history of planting, producing, and drinking tea, and the environment features many mountains webbed with rivers. The Mengku large-leaf tea tree is a rare variety in the world. These species are mainly distributed in Lincang City, Fengqing County, and Shuangjian County; Yunnan has a unique advantage when it comes to geography, as its abundant rainfall and prime temperature are perfect for planting these types of large-leaf trees. The leaves from these trees are abundant in polyphenols, catechins, and amino acids, meaning they are suitable for making pu-erh, black, and green teas.